Contrary to popular belief , Sourav Ganguly does not think that Mahendra Singh Dhoni is a good Twenty20 player. On Wednesday the former Indian team captain Saurabh Ganguly said Dhoni is a “champion ODI player” but doubted if he is still that good in the shortest format. “I am not too sure if Dhoni is a good T20 player. He is a champion ODI player but when it comes to T20 cricket, in 10 years, he has got one fifty and that’s not the best record. Ganguly’s scathing comments came on the back Dhoni’s ever-falling run in the shortest format of the game. 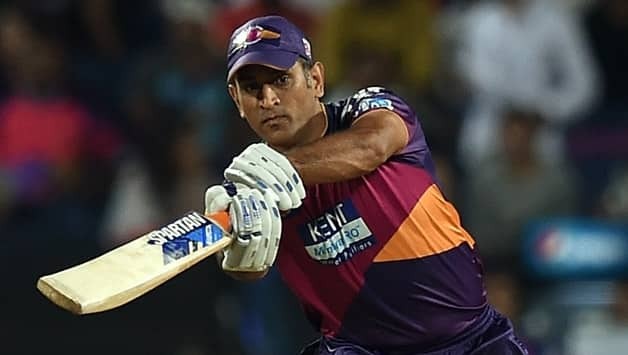 Dhoni, who has been relieved of captaincy duties by Rising Pune Supergiant and is playing for the first time as a player in the IPL Cricket match, he has not performed as per the expectations in the ongoing league. With scores of 12 not out, 5 and 11 in the three IPL 10 games he has played so far for the Rising Pune Supergiant, the 35 year old cricketer, regarded as India’s most successful skipper across all formats, has failed to live up to the expectations of his fans. Ganguly, however, said Dhoni is too good an ODI player to be ignored from India’s Champions Trophy squad. “I will pick Dhoni for the Champions Trophy but he has to score runs,” Ganguly said. Former Australian captain Michael Clarke also feels it is high time for Dhoni to explode with the bat. “Dhoni has to score runs for himself. As a professional, he has to,” Clarke said.